What to do in a bike race – Attack, attack, attack! 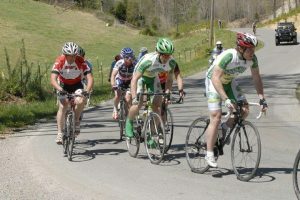 A friend of mine noticed on a recent race report that I had mentioned setting up a teammate to attack. He was wanting to know what went into this. I told him that it was pretty straight forward. Then I thought about all the different ways there are to attack. So rather then give away what type of attack was used in that particular race I thought I would post a few of my favorites.